Who Pays After A Bus Accident in Queens? NEW YORK — Thousands of New Yorkers rely on public transportation such as buses throughout Queens for their daily commute, yet taking the bus isn’t free from risks. Car and bus collisions can lead to serious injuries; unfortunately, buses have a higher risk of rolling or tipping over due to their height. Passengers also have few protections while riding the bus as they typically lack seat belts and airbags. When a person becomes entangled in a motor vehicle accident, liability is determined by figuring out each driver’s level of fault. The law can grow more complex with bus accidents, as several entities may be liable for the bus’s portion of fault. 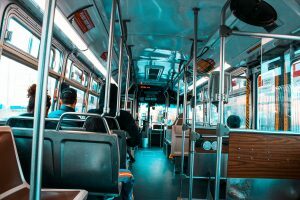 When you are involved in a Queens bus accident, consulting a bus accident lawyer about the outlook of your case is crucial to understanding what to expect from taking legal action. According to the Federal Motor Carrier Safety Administration, buses and large trucks made up approximately 12% of road fatalities and nearly 8% of nonfatal crashes in 2015. While these types of accidents may be fewer in number, the injuries they result in tend to be more severe for the occupants of other vehicles struck by these massive machines. 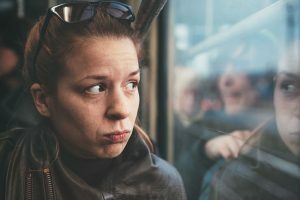 In the event that the bus driver is at fault for an accident, a personal injury lawyer who handles bus crash cases must determine further liability. The bus driver himself is usually not solely liable for an accident. Several factors may have come into play to cause the bus to instigate a crash. A personal injury lawyer can consult experts who can reconstruct an accident scene to pinpoint the cause of the accident and identify all sources of liability. At Cellino & Barnes, we’ll conduct a thorough investigation to ensure the parties responsible for your injuries are held accountable. If we find more than one party is liable, we will pursue claims against all at-fault parties. Our goal is to help you recover the funds you need for all your medical expenses, lost wages, and pain and suffering. 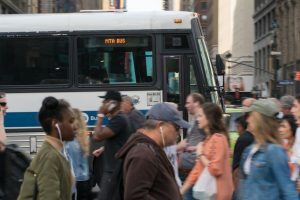 If you were hurt in an accident involving a bus operated by the New York City Transit Authority, you must notify them within 90 days of filing a claim. Contact a bus accident lawyer in Queens as soon as possible after your accident to ensure your claim goes through smoothly and that you recover the funds you need for all your medical bills. We provide FREE consultations. 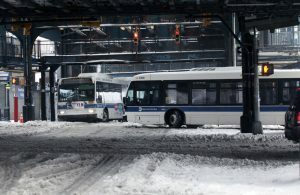 Manhattan, NY — Buses pose a significant threat to passengers and occupants of smaller vehicles on the road. 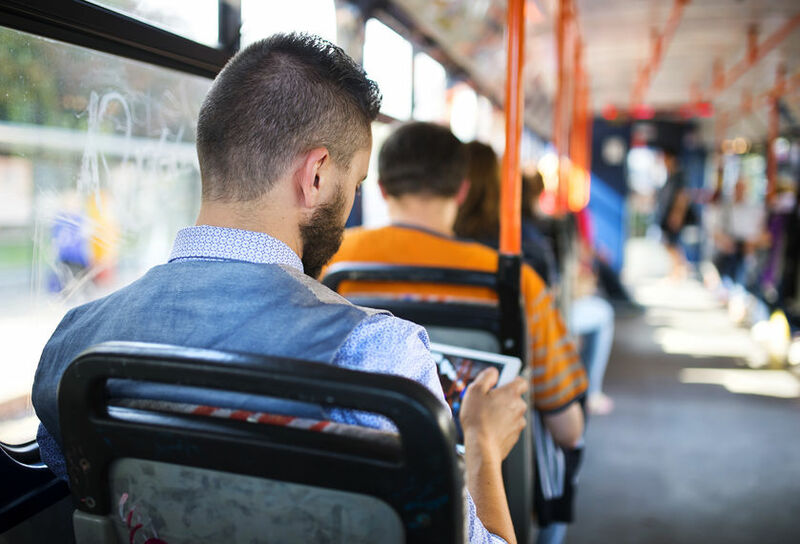 Those who ride the bus seat themselves or stand in an open cabin where they have no restraints to keep them in place in the event of a crash. According to bus accident lawyers in Manhattan, passengers often suffer a number of injuries when a bus strikes another vehicle or building. In turn, the occupants of the vehicles struck can suffer traumatic injuries as well. Often, people can suffer long-term effects when they survive a bus accident. If you suffered a bodily injury after a bus accident in Manhattan, you should take the following 5 steps immediately to ensure a speedy and successful recovery and mitigate the potential for future complications. As soon as you are cleared to leave the accident scene, be sure to make your way to the emergency room or make an appointment with your physician. The sooner you can get medical care, the better your prognosis will be. Establishing a record of medical care right after an accident is also crucial to supporting your personal injury claim, especially if you suffered a serious injury. If you don’t need emergency care, report the accident to the local police department to ensure that they file a police report. Although the bus driver should report the accident to authorities and supervisors, it’s best to make sure the report gets filed yourself. Describe in detail what you experienced from your perspective. You might want to find other witnesses who were nearby when the accident took place to record their statements as well. Whenever possible, it’s crucial to take photographs of the accident scene before it gets cleared up. Photographs are valuable records to accident reconstruction experts who may try to determine liability after the fact. Documenting your injuries will also create evidence your lawyer can use in settlement negotiations. The easiest damages to recover in a personal injury claim are financial losses such as medical bills and lost wages. Keep all records of these damages organized after your accident. Collect receipts, bills, and any other documents that may help your lawyer determine the financial damages you suffered. You should even hold onto gas station receipts from having to drive to and from hospitals, doctor visits, physical therapy, vehicle repair centers, and more. While you are under no obligation to consult an attorney after your accident, doing so will help tremendously in ensuring that you receive just financial compensation for your losses. The Manhattan personal injury lawyers with Cellino & Barnes will take all possible measures to investigate your accident, identify all liable parties, and hold them fully accountable for your damages. NEW YORK — The fact that you survived being hit by a bus is nothing short of miraculous. Typically, people do not survive crashes with large commercial vehicles like buses and trucks. Although there are fewer buses on the road than cars, buses are 8 times more likely to be involved in a pedestrian fatality than passenger cars. Additionally, buses are more likely to hurt young children ages 0-14 and elderly people ages 85 or older. 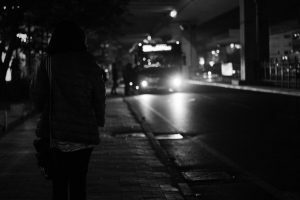 If you have recently been struck by a bus, it is understandable that you may not know all the steps that are crucial to supporting your recovery. Taking the following measures can help you recover more comfortably and secure your financial future. Seek medical attention urgently. If you have not done so, call for an ambulance or ask someone to call 911 so that you can get to a hospital. The odds that you have survived a bus crash without getting hurt are slim. Report your accident to police as soon as possible. Fill out an accident report quickly so you can remember the details of the accident while they are fresh in your mind. Be sure to request a copy of this report. Take pictures of the crash scene. Photos can help you prove liability. Be sure to include photos of your injuries and road and weather conditions. Gather information. Any witnesses that surrounded you when the bus struck you should provide their contact and insurance information. Their account of the accident will be important when you seek damages from the at-fault party. You will also need the driver’s information and credentials. 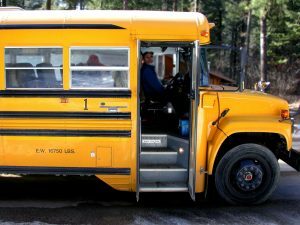 Be sure to get driver’s license numbers, insurance information, and personal contact information as well as the name of the company that owns the bus. 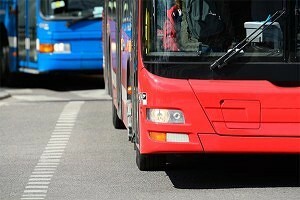 Contact a bus accident lawyer in the Bronx. An attorney can help you investigate the accident, preserve evidence, and hold the responsible parties accountable for your suffering. With the help of a lawyer, you may be able to collect monetary damages to pay off your medical bills, lost wages, and more. At Cellino & Barnes, our bus accident lawyers have decades of experience resolving accident cases involving pedestrians. As a pedestrian, the chances are high that you have sustained severe injuries that will require extensive long-term care. These costs can quickly amount to tens or even hundreds of thousands of dollars. Allow us to hold the responsible parties accountable for your injuries and seek the compensation you need to move on with your life. We do not accept any method of payment until we win your case, meaning you have nothing to lose and possibly thousands of dollars to gain from working with one of our bus accident lawyers in the Bronx. Call us to learn more about resolving your accident or complete this form. NEW YORK – A woman walking in a crosswalk on Sedgwick Ave. near West Fordham Road was run over by a school bus on Friday in University Heights. Carmen Puello, 43, of the Bronx was struck just a block from her home, the New York Daily News reported. 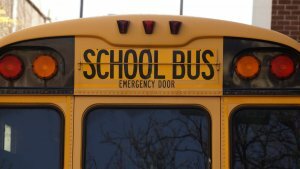 According to reporters at NBC 4, witnesses told police that the school bus was in the center lane on West Fordham Road when it made a right-hand turn onto Sedgwick Avenue, striking Carmen Puello as the driver made the turn. The 47-year-old bus driver remained on scene while an ambulance transported Carmen Puello to St. Barnabas Hospital. Unfortunately, Puello did not survive. 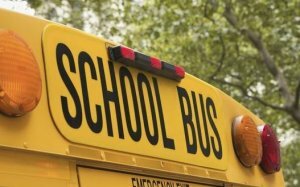 Over the last decade, more than 1,200 people have been struck and killed by school buses and many more have suffered severe injuries. According to statistics assembled by a Bronx bus accident lawyer, most of those injuries and fatalities have affected pedestrians who were outside the bus. Most often, the pedestrians have been small children or parents. An attorney will gather all the evidence a victim’s family needs to not only get closure – but to get the best result possible from their claim. This evidence is not just limited to the incident report supplied by police. In almost all cases, a fatal bus accident can be prevented. That’s why a Bronx bus accident lawyer should investigate all aspects of the crash to help their clients maximize their compensation. Many personal injury claims have also spurred meaningful changes to help prevent future incidents and improve the safety for millions of New Yorkers.